The apotheosis of toasted cheese? Not a technical post today, but, IMHO, one of the finest pieces of food writing in the English language. 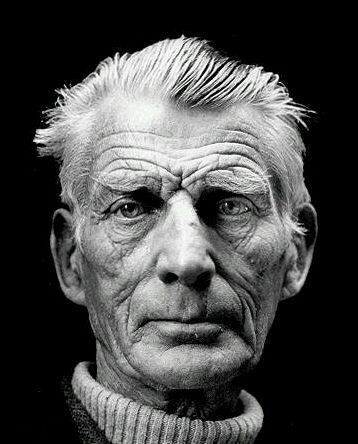 It comes from Samuel Beckett’s novel, “More pricks than kicks” and is set in Dublin. Below is an extract. I’ve taken out some of the narrative, but if you want to read it in full, copies of the book are still available from “all good book shops”. “Lunch to come off at all, was a very nice affair. If his lunch was to be enjoyable, and it could be very enjoyable indeed, he must be left in absolute tranquility to prepare it. But if he were disturbed now, if some brisk tattler were to come bouncing in now with a big idea or a petition, he might just as well not eat at all, for the food would turn to bittemess on his palate or, worse again, taste of nothing. He must be left strictly alone, he must have complete quiet and privacy to prepare the food for his lunch. The first thing to do was to lock the door. Now nobody could come at him. He deployed an old Herald and smoothed it out on the table. The rather handsome face of McCabe the assassin stared up at him. Then he lit the gas ring and unhooked the square flat toaster, asbestos grill, from its nail and set it precisely on the flame. He found he had to lower the flame. Toast must not on any account be be done too rapidly. For bread to be toasted as it ought, through and through, it must be done on a mild steady flame. Otherwise you only charred the outsides and left the pith as sodden as before. If there was one thing he abominated more than another it was to feel his teeth meet in a bathos of pith and dough. And it was so easy to do the thing properly. So, he thought, having regulated the flow and adjusted the grill, by the time I have the bread cut that will be just right. Now the long barrel loaf came out of its biscuit-tin and had its end evened off on the face of McCabe. Two inexorable drives with the bread saw and a pair of neat rounds of raw bread, the main elements of his meal, lay before him , awaiting his pleasure. The stump of the loaf went back into prison, the crumbs, as though there were no such thing as a sparrow in the wide world, were swept in a fever away, and the slices snatched up and carried to the grill. All these preliminaries were very hasty and impersonal. It was now that real skill began to be required, it was at this point that the average person began to make a bash of the entire proceedings. He laid his cheek against the soft of the bread, it was spongy and warm, alive. But he would very soon take that plush feel off it, by God but he would very quickly take that fat white look off its face. He lowered the gas a suspicion and plaqued one flabby slab plump down on the glowing fabric, but very pat and precise, so that the whole resembled the Japanese flag. Then on top, there not being room for the two to do evenly side by side, and if you did not do them evenly you might just as well save yourself the trouble of doing them at all, the other round was set to warm. When the first candidate was done, which was only when it was black through and through, it changed places with its comrade, so that now it in its turn lay on top, done to a dead end, black and smoking, waiting till as much could be said of the other. For the tiller of the field the thing was simple, he had it from his mother. The spots were Cain with his truss of thorns, dispossessed, cursed from the earth, fugitive and vagabond. The moon was that countenance fallen and branded, seared with the first stigma of God’s pity, that an outcast might not die quickly. It was a mix-up in the mind of the tiller, but that did not matter. It had been good enough for his mother, it was good enough for him. Belacqua on his knees before the flame, poring over the grill, controlled every phase of the broiling. It took time, but if a thing was worth doing at all it was worth doing well, that was a true saying. Long before the end the room was full of smoke and the reek of burning. He switched off the gas, when all that human care and skill could do had been done, and restored the toaster to its nail. This was an act of dilapidation, for it seared a great weal in the paper. This was hooliganism pure and simple. What the hell did he care? Was it his wall? The same hopeless paper had been there fifty years. it was livid with age. It could not be disimproved. Next a thick paste of Savora, salt and Cayenne on each round, were worked in while the pores were still open with the heat. No butter, God forbid, just a good forment of mustard and salt and pepper on each round. Butter was a blunder, it made the toast soggy. Buttered toast was all right for Senior Fellows and Salvationists, for such as had nothing but false teeth in their heads. It was no good at all to a fairly strong young rose like Belacqua. This meal that he was at such pains to make ready, he would devour it with a sense of rapture and victory, it would be like smiting the sledded Polacks on the ice. He would snap at it with closed eyes, he would gnash it into a pulp, he would vanquish it utterly with his fangs. Then the anguish of pungency, the pang of the spices, as each mouthful died, scorching his palate, bringing tears. But he was not yet all set, there was yet much to be done. He had burnt his offering, he had not fully dressed it. Yes, he had put the horse behind the tumbrel. He clapped the toasted rounds together, he brought them smartly together like cymbals, they clave the one to the other on the viscid salve of Savora. Then he wrapped them up for the time being in any old sheet of paper. Then he made himself ready for the road. Now the great thing was to avoid being accosted. To be stopped at this stage and have conversational nuisance committed all over him would be a disaster. His whole being was straining forward towards the joy in store. If he were accosted now he might just as well fling his lunch into the gutter and walk straight back home. Sometimes hunger, more of mind, I need scarcely say, than of body, for this meal amounted to such a frenzy that he would not have hesitated to strike any man rash enough to buttonhole and baulk him, he would have shouldered him out of his path without ceremony. Woe betide the meddler who crossed him when his mind was really set on this meal. He threaded his way rapidly, his head bowed, through a familiar labyrinth of lanes and suddenly dived into a little family grocery. In the shop they were not surprised. Most days, about this hour, he shot in off the street in this way. The slab of cheese was prepared. Separated since morning from the piece, it was only waiting for Belacqua to call and take it. Gorgonzola cheese. He knew a man who came from Gorgonzola, his name was Angelo. He had been born in Nice but all his youth had been spent in Gorgonzola. He knew where to look for it. Every day it was there, in the same corner, waiting to he called for. They were very decent obliging people. He looked sceptically at the cut of cheese. He turned it over on its back to see was the other side any better. The other side was worse. They had laid it better side up, they had practised that little deception. Who shall blame them? He rubbed it. It was sweating. That was something. He stooped and smelt it. A faint fragrance of corruption. What good was that? He didn’t want fragrance, he wasn’t a bloody gourmet, he wanted a good stench. What he wanted was a good green stenching rotten lump of Gorgonzola cheese, alive, and by God he would have it. He looked fiercely at the grocer. Belacqua was furious. The. impudent dogsbody, for two pins he would assault him. ‘It won’t do’, he cried, ‘do you hear me, it won’t do at all. I won’t have it.’ He ground his teeth. The grocer, instead of simply washing his hands like Pilate, flung out his arms in a wild crucified gesture of supplication. Sullenly Belacqua undid his packet and slipped the cadaverous tablet of cheese between the hard cold black boards of the toast. He stumped to the door where he whirled round however. ‘You heard me?’ he cried. ‘Sir’, said the grocer. This was not a question, nor yet an expression of acquiescence. The tone in which it was let fall made it quite impossible to know what was in the man’s mind. It was a most ingenious riposte. If you were unsure as to the impact and importance of having reviews of your restaurant online, then this study demonstrates just how important they are for getting new diners through your door. Reviews influence diners’ decisions to book your restaurant or not and are important for giving feedback to management. Good reviews boost takings and promote positivity in your restaurant. Reviews and their impact on overall TripAdvisor star ratings was investigated by US economists who found a correlation between star rating and how busy a restaurant was during peak periods – just half a star makes all the difference. In case you didn’t see our most recent update, we’ve added a new reviews feature into simpleERB letting you make the most of good reviews and deter bad reviews from being posted online so you can deal with them directly first. You can now choose to let your customers review their meal after they dine in your restaurant from their booking confirmation email, and if they don’t, remind them after 18 hours. These reviews will be sent back to you privately. This gives you the opportunity to catch any bad reviews and respond to them directly with the customer prior to them posting the negative review on social media and review sites like TripAdvisor. Feeding back to you before posting online is crucial. Secondly, you want to encourage users to share positive reviews they send you. We’ve added into simpleERB the ability to selectively respond to people who’ve reviewed your venue positively, encouraging them to share their good review on Tripadvisor, Yelp, etc. and social media. Encourage users to share good reviews, discourage bad reviews being posted by dealing with them first and directly. simpleERB, on your side! You can view the full TripAdvisor infographic here. If you’ve signed in to your simpleERB account over the last 24 hours you may have noticed some new features that were released yesterday. This first update enables a logged in manager to move one reservation to a free table quicker than before. If the guest’s stay time is compromised then the manager can respond quickly and say this is ok on simpleERB. You can access this from the guest’s individual booking page and you’ll see a new Quick Move box between Table layout and Covers. Just click the box and you can quickly swap the guest’s tables. We’ve introduced new options to Diary view. Now you can easily view today’s, tomorrow’s, next week’s and next month’s bookings. Just select your view at from the tabs at the bottom of the diary. Perhaps you’ve decided your don’t want to get any web bookings on a particular day or that you want to save your best tables for other bookings. We have now made it easier to close off future days, dates and/or times to web bookings. Simply go to Settings and under Advanced Settings you’ll find Web Booking Availability. Here you can quickly suspend web booking availability by day of the week or by a particular date and time range. You can select whether this applies to all tables in your restaurant or selected tables. You want your customers to find you on your social media accounts and there’s no better way than including links to your social profiles within customers’ booking confirmations. Now you can do this easily with your simpleERB account. Go to Social Media in Advanced Settings and from here you can enter your social media details. Once saved, these will now appear in all booking confirmation your customers get. Also, in case you missed it, we updated simpleERB with a new Manager’s Day Book feature a few weeks ago – read more about how to use Manager’s Day Book here.